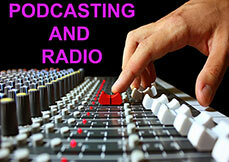 The only page you need for good inexpensive audio for Podcasting, radio and voiceover. 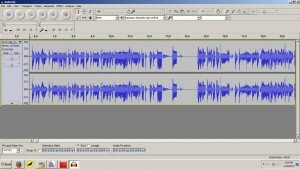 Guide to doing great remote spoken media with FeenPhone, Skype, Audacity, etc. Or if you can only spend 40 dollars on a mic, get the Knox. I do not recommend any other USB mics. Those mics are loud and clear, has a great pickup pattern for spoken audio, rejects some ambient background noise, rejects most sound behind the mic, and even has a tiny bit of built-in compression to reduce peaks and give a smoother sound. It’s also plug-and-play so it doesn’t require an external USB interface. We designed FeenPhone specifically with the AT2005USB (and similar high-quality low-price cardioid dynamic USB mics) in mind. That mic on a stand (get THIS one) near your mouth, a foam windscreen on your mic (get those HERE), some blankets hung up to deaden audio reflections (or more-permanent sound conditioning), a pair of closed-ear headphones, and FeenPhone enable you to do ultra-high-quality live radio shows, Internet radio shows, podcasts and voiceover across the miles…Even if your co-host, producer or customer is in a different country. You should use a decent dynamic cardioid-pattern mic with FeenPhone. FeenPhone will work with a cheap gaming headset, but if you really want stellar broadcast-quality sound, you need to use a good mic. We recommend a dynamic USB mic, though FeenPhone will work even better with a dynamic mic through a mixer, especially if you can add a bit of compression on the mixer. A condenser mic will work, but will pick up too much room noise. 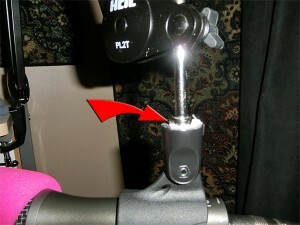 And I do not recommend you use that idiotic “Yeti” condenser USB mic. They preform like the engineers spent more time on the look than on the internal design. Also, it’s too big to easily get on a mic stand to get it near your mouth, and you need to get your mic near your mouth to get really excellent audio. Dynamic cardioid mics are the way to go for live high-quality two- and three-way talk. Always. 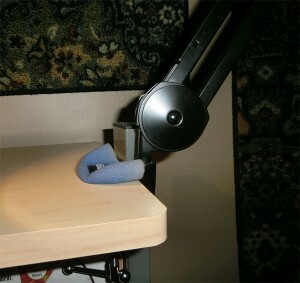 Microphone scissor boom stand. A little more expensive than the basic stand above, but gives you more control. Make sure you bolt it to a table other than the one you are using and bumping. And put a foam windscreen squished above and below the table where you clamp it on so the mic “hears” less bumping from the table and floor. The $50 AT2005USB is such a good mic that I use it for my radio show even though I own a $500 Electro-Voice RE20 mic. The RE20 is broadcast standard and is in practically every commercial radio station in the world. But I like the AT2005USB more, plus is more closely matches the tonalities of the audio my co-hosts send me over FeenPhone, since they’re all using the AT2005USB. The RE20 mic hasn’t changed since the 1960s and has a very specific, very “fat” sound that people immediately identify as “the sound of talk radio.” But I’ve come to find it kind of artificial and old fashioned sounding. Plus the AT2005USB actually sounds clearer, which means people can understand every word better, especially in the varying environments where people consume talk radio and podcasts…..Like in a car going down the highway with the kids talking in the back seat. Or on a job site. The Freedom Feens have a fan who works as a landscaper using noisy gasoline-powered leaf blowers. He says the podcast of our radio show is the only podcast where he can understand every word, even with closed-ear headphones on. You should have your mic on a mic stand. You need to get it near your mouth, to have a higher ratio of you-to-background noise. Even a quiet room has some background noise. It has always been a broadcast standard to have the mic close to the host’s mouth. Even with talk show hosts on TV, that mic on the table by the coffee cup is just a prop. Their audio is actually getting picked up by a small mic closer to their mouth, clipped on to their tie. Shims of paper towels in mic clip threads to make a tight fit. Move your mic away from heaters, fans and computer fans. 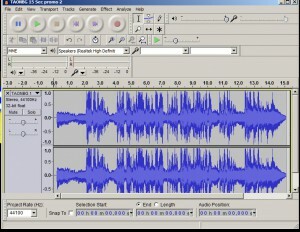 If there is a source of noise you can’t get rid of, point your mic in the opposite direction of it, even if you have to sit somewhere you don’t usually sit when using your computer. Heat or cool your room before a show, and turn off the heater or AC while recording. If you have roommates, ask them to be quiet during a show. If you can still hear them in your room over your headphones, shut your door and stuff a towel under the crack of the door. 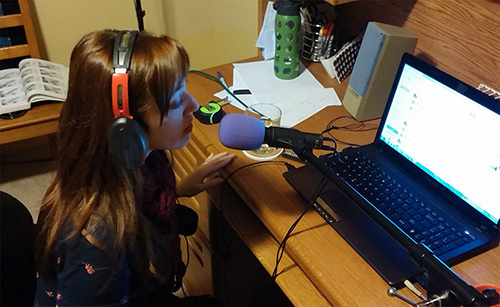 Put a “Recording, please be quiet” sign on your door while recording a show. If your roommates ignore this, get new roommates or move out. Until I was married, I always lived alone in smaller apartments rather than with other people in bigger apartments. You can get more done without the distractions. Avoid having background noise. 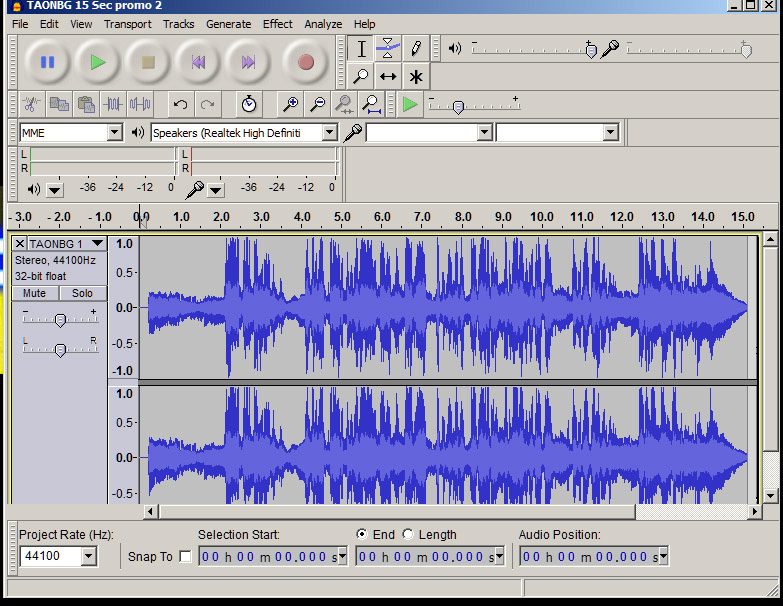 You never want to “fix it in the mix.” Sure, Audacity (get it here) is free, and is good software for recording and editing. And it can filter hum or fan noise out of a recording. But the really pro thing is to not get the background noise in the first place. And audio that has had the “Noise Reduction” filter applied sounds a little artificial, like you can hear “whispering robots” under your talking. Don’t record your show sitting in a corner. The corner of a room will have the worst audio and most reverberations, which will amplify the background noise hitting your mic. You should use a foam windscreen on your mic. This will cut down on plosives (popping noises on P, D and T sounds) and sibilance (sssssss noises on S sounds). You want to be in a quiet room, and speak directly into the end of the mic. Your mouth should be between two and eight inches from the mic. Minimum good distance from mic. Maximum good distance from mic. The correct distance will depend on how loud you talk, and you should move closer and further on the fly depending on rises and falls in your speaking volume. (This is called having good “mic technique.”) Monitoring yourself in your headphones will help you know the proper distance. You will develop better mic technique faster with FeenPhone than you would with other voice-over-Internet programs, because you can hear yourself and your remote co-host(s) better with FeenPhone. If you end up getting plosives or sibilance, get an inch further away from the mic. Also, don’t get too far off axis from the front of the mic. You shouldn’t be more than about 2 or 3 inches off dead center in front of it. Picture a three-inch diameter, eight-inch long tube coming out of the end of the mic, and keep your mouth inside that imaginary tube. There is also something known as The Proximity Effect. This is the fact that with dynamic cardioid microphones, the closer you get to them, the more bass response they have. So if you don’t have a mixer with EQ, if you sound too bassy, get a little further from the mic. If you sound too thin and reedy, get closer. Proximity Effect can actually be used intentionally, for emphasis. Get right up on the mic, almost touching your lips to the windscreen and speak more quietly for a very intimate effect. Used sparingly, on the right utterance, and this can be a very intense effect. You MUST use headphones with FeenPhone when doing two-way and three-way audio. FeenPhone has no echo cancellation or noise reduction. This is by design. Those things are used in other VoIPs to make it possible to get mediocre sound with any mic in any environment. But echo cancellation and noise reduction are a compromise. They reduce the quality of well-produced audio. FeenPhone isn’t designed for getting mediocre audio in any environment on any mic. It is designed for getting stellar audio in a quiet room with a decent mic. 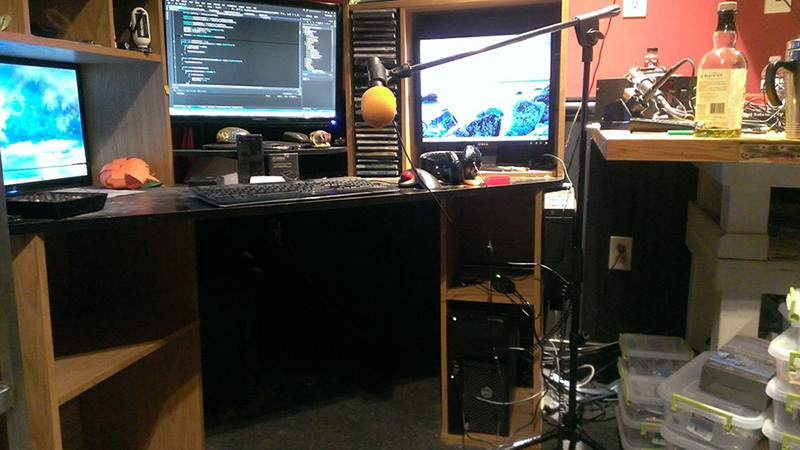 Other voice-over-Internet programs cannot transmit stellar audio even from a quiet room with a decent mic, ever. FeenPhone can. But if you use FeenPhone without headphones for two-way audio, it will feed back and be unusable. Sony MDR-7506 Only $80. Less than 1/3 the price of Beats by Dre, but the MDR-7506 is the standard in every radio station and recording studio in the world. 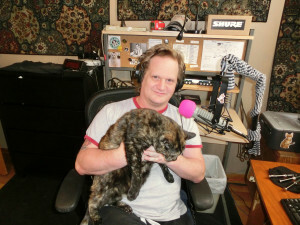 Look at some pictures of audio pros doing live radio or in the recording studio making music. 4 out of 5 are wearing these headphone. These sound better, and more accurately reproduce the subtle nuances of complex audio, than $250 Beats By Dre. 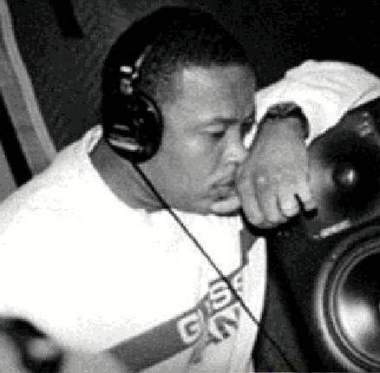 In fact, here’s a picture of Dr. Dre in the studio, wearing Sony MDR-7506 headphones. You can easily tell closed-ear headphones from open-ear headphones. Listen to some music at a medium-high volume on your headphones. If people across a quiet, medium-sized room can hear the music, the headphones are open-ear and you need to get new headphones to effectively use FeenPhone. If you only have ear buds, they will work if you wear gun ears (hearing protection for shooting guns) over them. And as with all headphones, make sure your hair isn’t under the headphones making a noise gap. Gun ears will keep ear buds from leaking sound. But ear buds aren’t accurate enough to discern the subtlties of audio, and you need to be able to hear everything well to make adjustments to get the best audio. 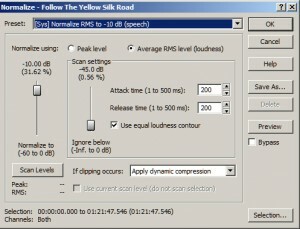 In Audacity, go to Effect / Normalize, and set to 0 dB. 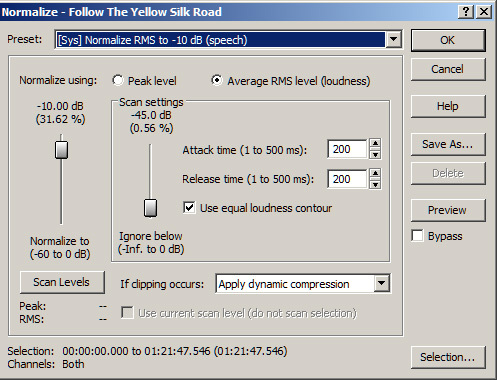 It will generally work best to use a dedicated computer not only for running FeenPhone, but another dedicated computer for recording. I use three computers while doing my show. One for FeenPhone, one to record on, and one to look at web links and other show prep sent by my co-host(s) during the show. Used computers are cheap. And if you can’t afford more than one, get together with a friend and have her bring her computer over when you do a show until you can get a second computer. Two people producing a show is a great way to learn and share techniques, and also a great way to learn to collaborate with others. Even a cheap used computer running FeenPhone alone will usually perform better than using FeenPhone on a better computer that’s used for other tasks during the show. I do recommend running FeenPhone on a computer without a lot of programs on it. It’s best if it’s a computer that you do not use use for other tasks while doing the show, or ever. Your media is worth it. Dedicate one computer exclusively to having great audio. You can get a used Windows 7 laptop or desktop computer on on Amazon that will run FeenPhone well for $100-$150. So if you seem the same volume as your co-host, your recording will have you a little quieter than your co-host. Experiment, but I generally find that having me seem 10% – 25% louder in my apparent volume in my headphones results in my co-host and I being the same volume as each other on the recording. There is an abandoned program called The Levelator that you can get free here. 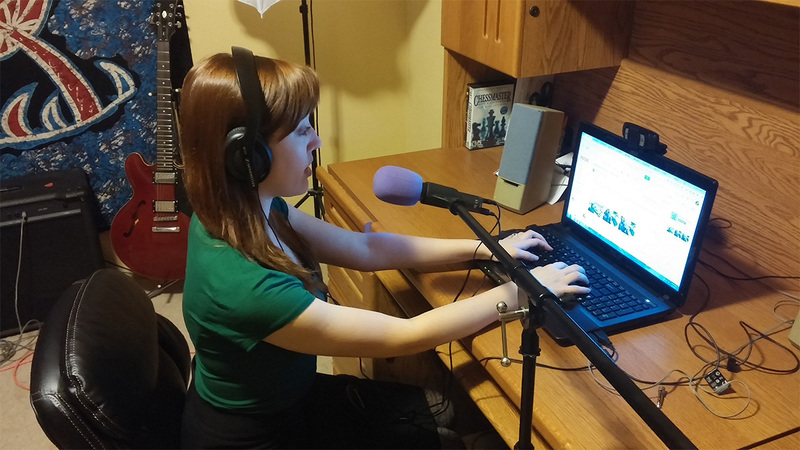 It was designed specifically for podcasters. After you edit your show but before you add the music (Levelator doesn’t work well on music, only on talk), drag your output WAV file or AIFF file (The Levelator will not work on MP3s) into The Levelator. It will smooth out the differences in volume in a very natural way, and output a file with the same file name but with “.output” added. 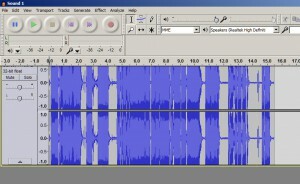 Use that output file, add your music and make your show. (Unless you’re adding the music live, in which case, try Levelating the whole mixed file and see how it sounds. The Levelator can have mixed results on music.) 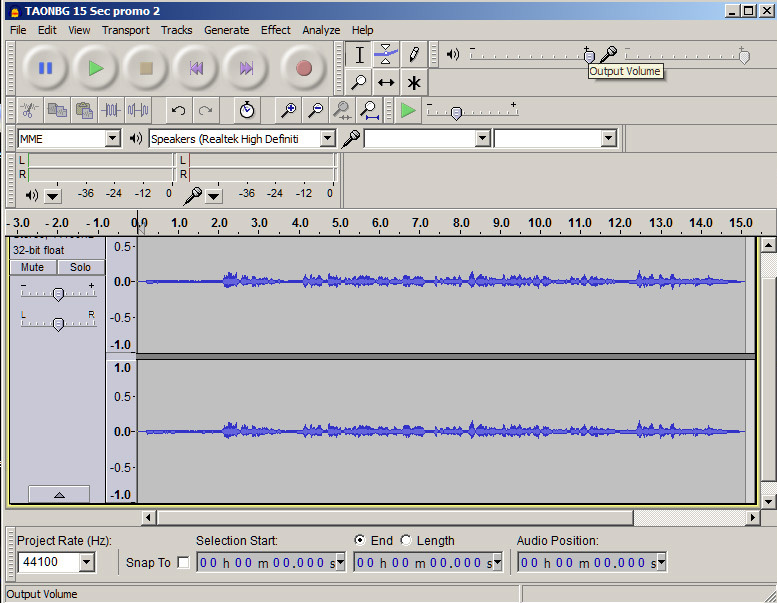 The Levelator works much better than the Normalization function in Audacity. You want to get your volumes between hosts and between sections as consistent as possible before running your files through the Levelator. The Levelator (and other normalization techniques) is not miracle worker…”garbage in, garbage out”, but it can make good audio levels really good, and makes really good audio levels sound great. 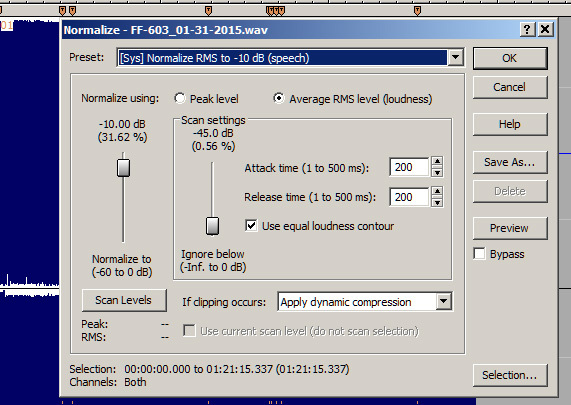 The default Talk Normalization setting in Sound Forge, however, is amazing. It works even better than The Levelator. But The Levelator and Audacity are free, and Sound Forge costs money. 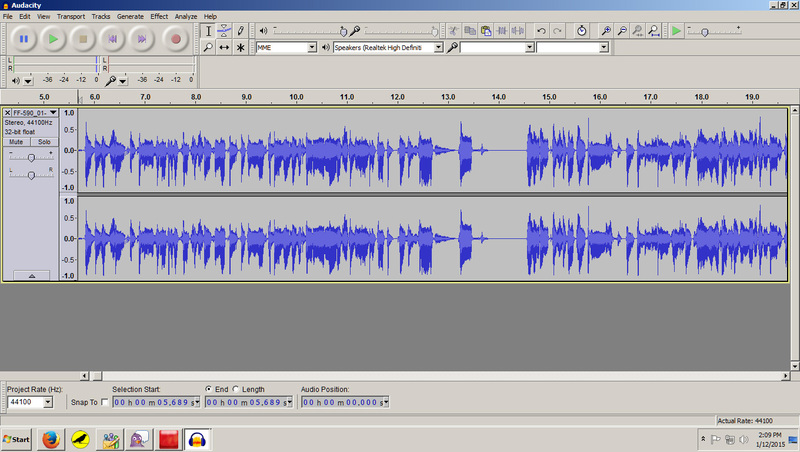 I use the the Normalization function in Sound Forge (on only the talking parts) of every Freedom Feens archive podcast, and have since episode one. Try to get a hold of Sound Forge if you can. 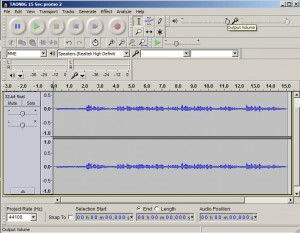 It’s a better program than Audacity for producing audio, in every way. How The Feens Broadcast and Record. Intro to compressors and dynamics here. Why I’m on radio instead of just podcasting. My favorite hardware compressor, the one I use, the DBX 1066. Getting great audio on very little money is possible. It’s not rocket surgery, but it’s does require some thought and practice. If you truly believe in your message, you should care about your audio, and take the small amount of extra time and care that being great requires. I hope what I wrote here is helpful, and again, please TELL TWO FRIENDS! Go to the Freedom Feens Podcast!